The case pertains to the death of Kishor Parashar, a Maharashtra government employee, who committed suicide in August 2017 allegedly due to extreme work pressure in his office. The Supreme Court in its latest ruling on a suicide case said that a senior employee can't be held responsible for the death of his junior because of stress at work. The case pertains to the death of Kishor Parashar, a Maharashtra government employee, who committed suicide in August 2017. Setting aside the argument put forth by the Bombay High Court's Aurangabad bench, the Supreme Court said there's insufficient evidence which could suggest it as a case of abetment to suicide. The apex court, however, said there can be a "room" for Section 306 (abetment to suicide) of the Indian Penal Code if a suicide-like situation is created deliberately. Kishor's wife had complained to the Aurangabad police after his death, accusing the deputy director of education of forcing him to work overtime and even on holidays. She had alleged the senior officer mentally tortured her husband and created extreme work conditions, following which he decided to end his life. She also accused the official of stopping her late husband's salary as well as threatening not to give him increment. Following the complaint, the local police lodged an FIR against the official, who later moved the local bench of the Bombay High Court for quashing of the FIR. A Financial Express report says the Bombay High Court on January 23 decided that the FIR could not be quashed and that the case could come under the Section 306 of the IPC. The HC, in its observation, gave two arguments. The court said though the senior officer didn't have any such intention, cases wherein victims are deliberately forced to work under extreme conditions which forced them to take extreme step can come under the abetment of suicide. The senior official who approached the Supreme Court after the HC observation got a relief after the SC bench comprising justices Arun Mishra and UU Lalit termed the lower court observation as untenable and rejected the FIR. "It is true that if a situation is created deliberately so as to drive a person to commit suicide, there would be room for attracting Section 306 of the IPC (abetment to suicide). However, the facts on record in the present case are inadequate and insufficient (to reach that conclusion)," the SC court observed. 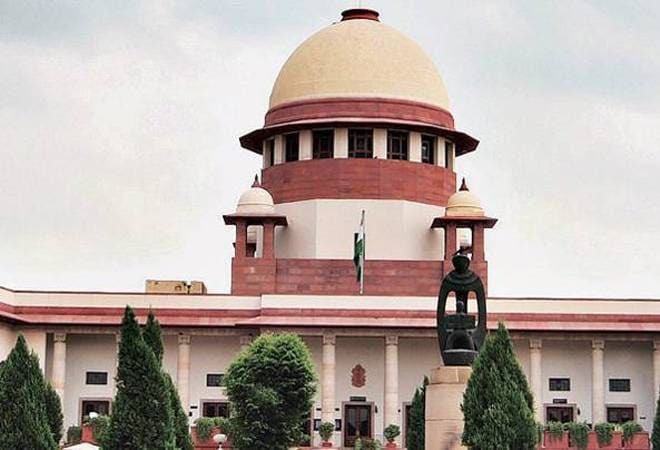 Maharashtra government's standing counsel Nishant Katneswarkar had appealed to the SC that the case should be dismissed as the senior officer had no intention to force the victim to commit suicide. This Indian space mission is more exciting than landing a man on the moon!